It is very unlikely that you will miss this bird on a visit to the mountains of Borneo. 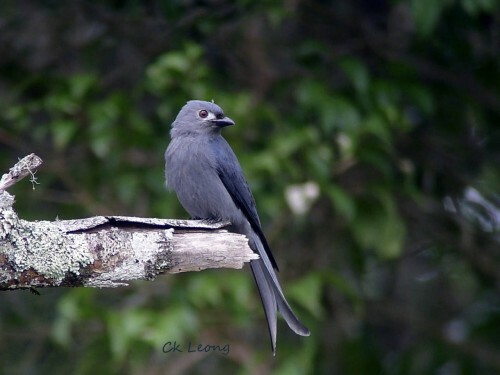 However in recent years, there has been a noticeable drop in the population of the Ashy Drongo Dicrurus leucophaeus. It is most easily seen at the edge of forest in the early hours of morning, hawking for insects. The Bornean race stigmatops has a prominent white patch around the eyes.